Christopher Wool, Untitled (detail), 2012, glass, lead. Installation view, Chapelle capitulaire du Prieuré de la Charité-sur-Loire, France. Photos: André Morin. ON OCTOBER 25, a major retrospective of the work of CHRISTOPHER WOOL opened at the Solomon R. Guggenheim Museum in New York, the artist’s most comprehensive exhibition to date. 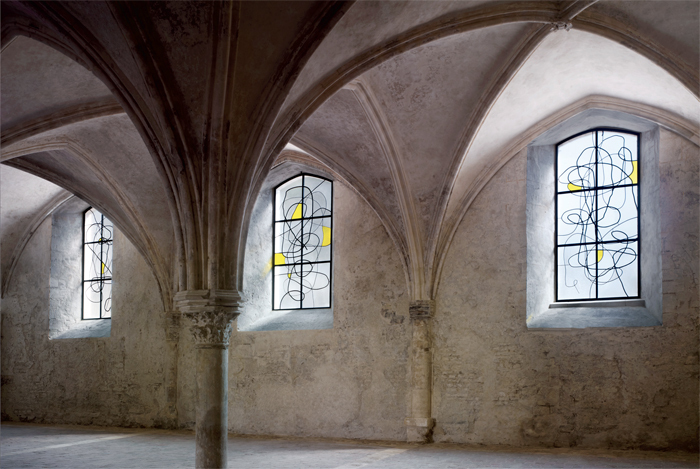 But just last year, Wool completed a much quieter and more unusual project: a series of stained-glass windows for a Romanesque chapel in France’s Loire Valley. 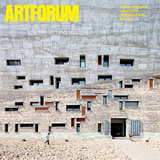 Artforum invited curator ANNE PONTÉGNIE, who helped commission the work, to reflect on the windows’ luminous realization and their relation to Wool’s oeuvrein a context equally digital and archaic,painterly and crafted, earthly and divine.